Jetpets are excited to announce that we are the major sponsors for the Life of Pikelets National book tour. 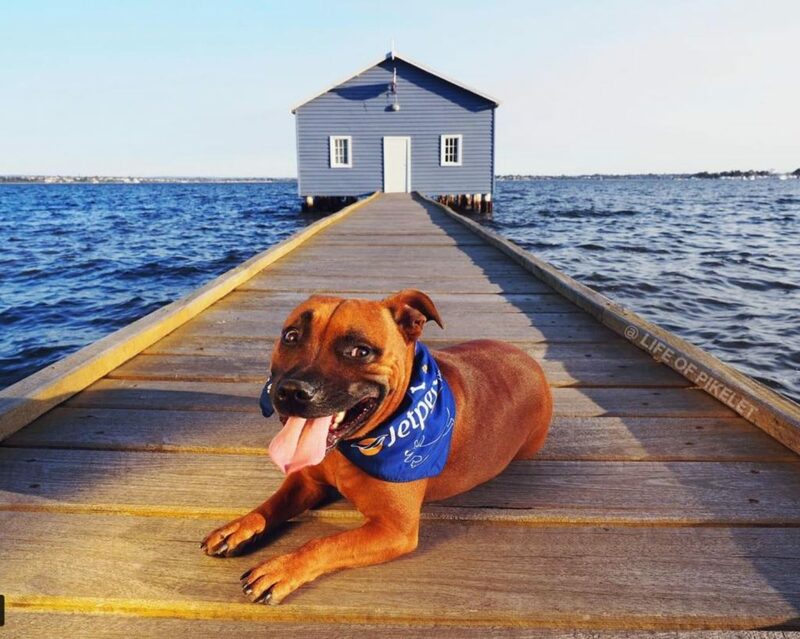 Pikelet is one of Australia’s most famous living pooches, with over 188 thousand followers on Instagram and 142 thousand on Facebook. Pikelets story is an amazing journey from council pound to superstardom and his followers can’t get enough of his daily antics. While Pikelet is a talent on his own he is helped along by his mumma and pappa Calley & Brad Stoll who rescued him from death row in 2013 at the age of eight weeks. Pikelet was suffering from deformed legs and a curved spine and was unlikely to be adopted but when Calley saw him she instantly became besotted with the handsome staffy. Calley herself, is a trained photographer and it’s easy to see why people are drawn to her amazing photographs of Pikelet and his extended rescue family. Her photographs have a way of bringing out her pet’s personalities and the page brings so much joy to Pikelets thousands of adoring fans. In addition to taking amazing photographs Calley is also a prominent spokesperson for the rescue animal movement and regularly provides advice and assistance to Pikelets fans who are interested in adoption. While not all Pikelet’s fans have the ability to adopt or own pets they are able to contribute to the rescue movement by following Pikelet and supporting the page. In the past four years, more than 50 foster animals have passed through Pikelet’s Sydney home, all of which have become characters in the Life of Pikelet world. You may remember Calley’s rescue pig Pillow whom Jetpets transported to her forever farm back in July earlier this year. Jetpets will be working closely with Calley and Pikelet during the month of November to celebrate the tour so stay tuned for further news and content. If you are interested in purchasing Pikelets book you can do so here and if you plan to get along to meet Pikelet the details of his appearances are below.